As a Canadian, I’m very familiar with how brutal winter can be. I think the last winter we just endured was one of the worst I can remember. I say *just* because the snow didn’t stop until almost May for some areas! It was the winter that never wanted to end. I’ll be needing a new pair of winter boots before the snow starts to fall this year. My boots last year were not built to last. It was no fun shoveling the driveway with cold, wet feet. I want comfort, warmth, but don’t want to sacrifice style either. I want boots that will look and feel good to wear. And I know just the place I’m going to find them: Pajar. I heard about Pajar after my friend, Tiffany, at Fabulous Mom Blog wrote a blog about their winter boots. I learned that they had been around since the 1960’s and were in fact, Canadian! Today I want to share with you more about the company and their products. Pajar was founded in 1963 by Paul Golbert who came from a long family line of shoemakers. Paul was born in Paris, France and immigrated with his wife and son to Montreal in the 50’s. It was neat to see how he came up with the name, “Pajar” and how he kept the family connection strong with the name of the brand. Pajar stands for Paul, Jacques and Rachel, the names of himself, son and wife. Paul Golbert is a pioneer in the Canadian footwear industry. He was one of the first people to import Italian, French and Spanish footwear to Canada. That is not the only first for Pajar. They were one of the first Canadian brands to export to the United States back in 1980. Fast forward to today and Pajar is now found in 40 countries all over the world. As you can see the business has come a long way from its Montreal roots! Pajar’s first showroom opened in 1967 in Montreal and then they expanded more in 1973 with a factory opening. Pajar remains a family owned business to this day. Paul’s son, Jacques joined the company after completing his post-secondary education in 1975. Then in 2001, Paul’s grandchildren and Jacques’ children, Michel, Elise and David, joined the business. Over the years, this family-owned and operated business has been the recipient of many awards and accolades. In 1985, they won the Canadian Footwear Association Award for Best Women’s Casual Footwear and in 1991, they won Gold for Best Children’s Winter Boots from the International Shoe Association. They were even referred to as the “Rolls Royce of Canadian boots” by Ars Sutoria, Italy’s most recognized trade magazine. As you can see Pajar has strong ties to family and are proud of their rich history. They incorporate their expertise of five generations of shoemaking into the designs of their footwear and other apparel. Their goal is to provide customers with comfortable and stylish footwear and apparel that is of the highest quality. Being a Canadian company, their designers are inspired by Canadian heritage and are always working to develop new product innovations. I think the key thing to remember here is quality. Not only do they focus on selling a fashionable and functionable product, but that quality is of the utmost importance to Pajar. Watch this video to learn more about Pajar and their products. 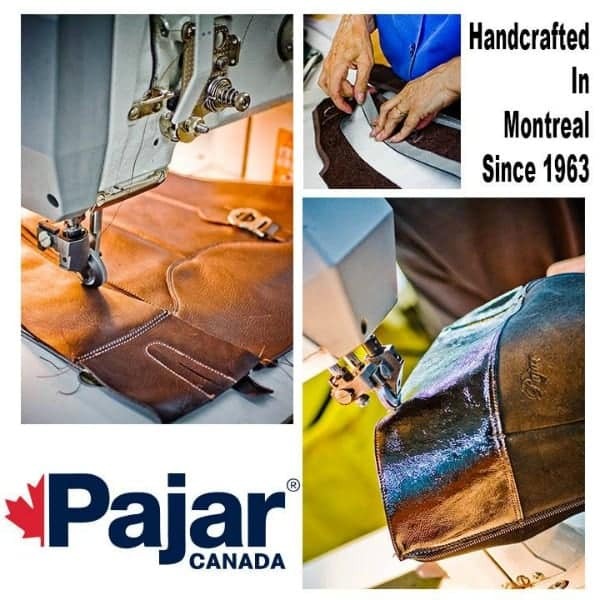 Pajar Canada Heritage Premium products are manufactured in Montreal while the Pajar Sport Collections are manufactured at their production facilities in Europe and Asia. 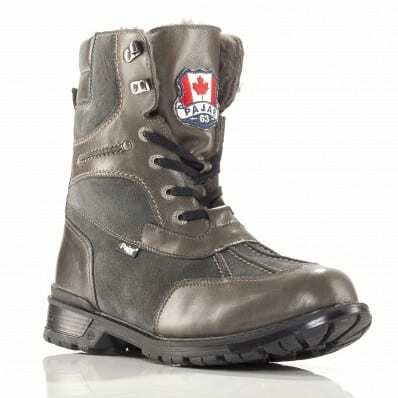 The Pajar Canada Heritage Premium includes their winter boots. The boots are 100% lined with genuine sheepskin and guaranteed to keep you warm in temperatures as low as 40°C. The Pajar Sport collection consists of their rainboots and other outerwear. Pajar has a variety of footwear and other apparel to suit both men and women and not only for the winter season. Yes, they do have a large selection of winter boots, but they also offer rainboots, moccasins and performance outwear in various colours, fabrics and styles. I was browsing around their site and made a short list of my faves! To keep my feet dry on a rainy day, I’d love to own a pair of Portia rainboots. 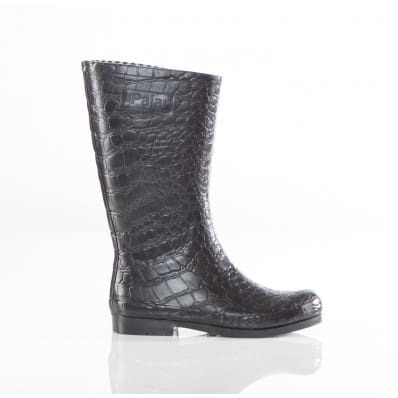 They are black with a crocodile pattern and look super comfy! I had a hard time picking my favourite pair of winter boots, so I’m going to list a couple. There’s no rule written that a girl can only have one pair of boots right? The Albany doesn’t even look like winter boots to me. They are sleek and stylish, but will still keep feet warm up to 40°C. I like the heel and the grip on the soles so I won’t be slipping and sliding on icy sidewalks. The Quebec would be something I’d wear to shovel the driveway or when I’m dressed more casually. They look more like the traditional winter boot I’m used to. For John, I’d choose a pair of Carrefour boots to keep his feet warm and dry. I think the colour and style would suit his taste and I like the added touch of the Pajar emblem on the front. Pajar has a store locator to find a retailer near you. Alternatively, you can purchase Pajar products online via their website. They ship internationally and accept major credit cards and Paypal. 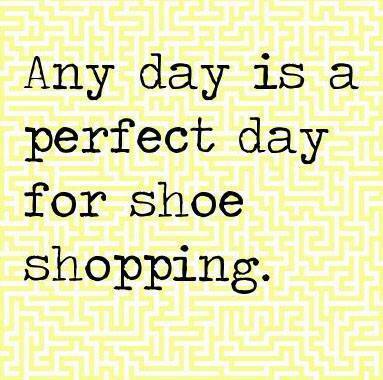 Check out their selection of boots and other apparel and find something that you love. It won’t be hard! I’ve bookmarked their site to re-visit when I’m ready to purchase boots for myself, John and older daughter, Olivia. Which ones are your personal favourite? Connect with Pajar on Facebook, Twitter, YouTube and Pinterest. I have now been introduce to the Pajar company and I am impressed by both the workmanship and quality canadian products, I especially like the Carrefour Boot! The store locator does not seem to work. The drop down list of cities has very few Canadian cities. I have my eyes on a few pairs of boots that I would love to have from Pajar. I’ve been on their site quite a few times just browsing around. I love their story! Have not heard of this company before this, but the brand sounds awesome. Great style and quality. Interested in seeing them up close and personal. These boots look amazing! I will have to look into getting a pair before next winter. I have not heard of Pajar before.It looks like a great company and I was thrilled to read your review about them.I will bee checking them out! Thanks. I am from Montreal but I have never heard of this company which is unfortunate as their goods are so attractive! Thank you for introducing me to Canadian made boots…I’ll be looking for this company’s products. My brother-in-law has a shoe repair shop. I love the looks of these boots. I haven’t worn boots in years. I have not heard of them before but will check them out because I will need to find some new boots this winter. Thanks for sharing about them! I love the heel on the boot. So sophisticated, yet classic! Pajar makes super cute boots. Didn’t they sell some really nice lace-up ones at Reitman’s last winter? These boots look amazing. I like the carrefour boots. It’s touching and reassuring to see how the line became and has grown. I love the family feel. It’s good to know that these keep your feet warm and dry. You could wear them out shoveling on just out…they’re stylish, too. We rarely need a winter jacket here in Victoria, but I do need a pair of boots and these look really well made and of high quality! I love that these boots are stylish and comfortable and can be worn in a variety of situations. Gorgeous boots! A good pair is absolutely essential to any wardrobe. I visited the Pajar website and they have some really nice boots. I like that the boots that I saw on the Pajar website are styles that I have not seen anywhere else. Thank you for sharing this review. Support Canadian companies!! I love The Albany! I wasn’t aware of this company before, Thank you. The products look and sound great and the fact that they are Canadian is better! Pajar Boots have been my go to boots for many many years. Used to buy them at the factory store in Montreal ! Beautifully crafted boots from Pajar! My daughter would love one!